Properties in Rangitikei District average 4.7 out of 5 stars. Property 24: McBach by the Beach! Property 25: Inviting Railway Cottage. Old World Charm with Modern Conveniences. Property 30: Beautiful old villa apartment in charming setting. 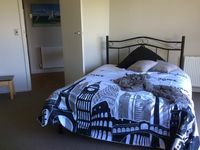 Property 49: Himatangi Hideaway, a place to relax.